Deliberately circumventing browser security is NOT a good idea. OK, with that mandatory common-sense warning out of the way, those of you who know why we’re doing this are welcome to continue reading. Today was the *second* occasion in the last fortnight where I’ve needed to talk to a customer’s SBC that was still running a relatively ancient version of firmware – and none of my browsers would let me circumvent modern-day security practices to access these “unsecure” sites. 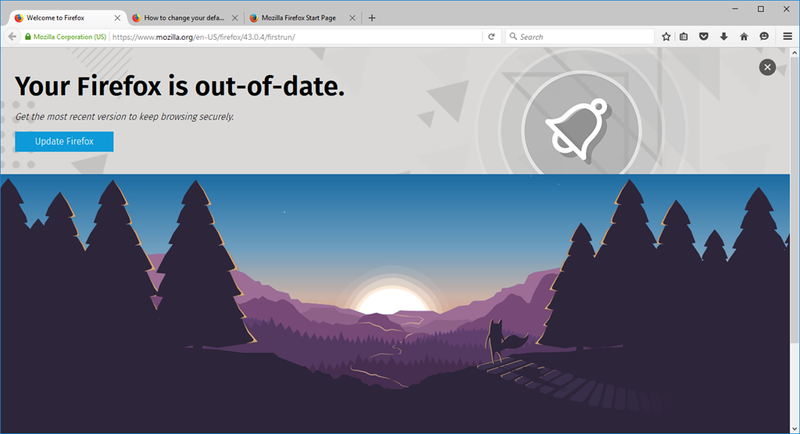 The Catch-22 is of course that the only way to upgrade their inbuilt web-server to use currently secure protocols is via their present-day obsolete web-server, which your browser is “correctly” shielding you from. 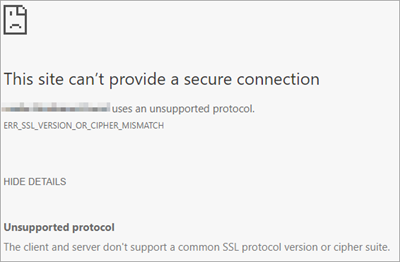 This might be because the site uses outdated or unsafe TLS security settings. If this keeps happening, try contacting the website's owner. unsupported protocol or cipher suite such as RC4 (link for the details), which is not considered secure. Please contact your site administrator. OK, this won’t work with a Sonus, but you might get lucky and find an AudioCodes will let you in via http! (The AC SBCs default to accepting connections on http *and* https). I’ve resorted to an old laptop with Windows 7 running IE11 to access web interface on those. This one’s suggested on a Firefox support forum. It didn’t work for me, but you might have more luck. The about:config “This might void your warranty!” warning page may appear. Click I’ll be careful, I promise! to continue to the about:config page. A few people suggested trying Firefox Portable, a standalone build of Firefox that can be run from a memory stick (Wikipedia). They don’t appear to keep their own repo of old versions, and I didn’t know whether I could trust any of the sites that were, so I moved on. Firefox has removed support for the RC4 decipher. 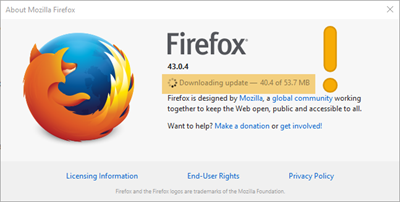 Firefox 43.0.4 Released January 6, 2016 https://ftp.mozilla.org/pub/firefox/releases/43.0.4/win64/en-GB/ and the file “Firefox Setup 43.0.4.exe”. 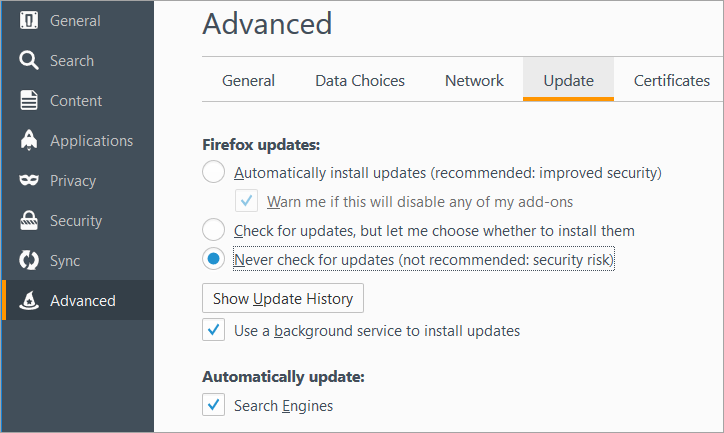 It should come as no surprise to learn that Firefox defaults to “check for updates” enabled on install, and despite me thinking I’d gotten to that in time, it was already updating itself! At this point you’ll still have the remainder of this session left to talk to your SBC and get its firmware to current. 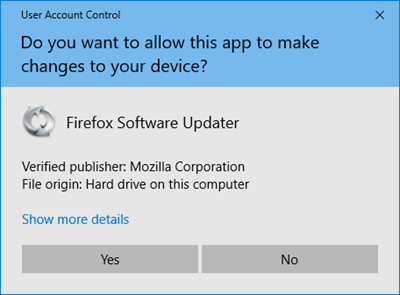 I installed & uninstalled Firefox repeatedly while preparing this post, and it looks like it leaves its settings behind when it’s removed. That means that even if it upgrades on you (after you’ve said not to), a fresh uninstall & reinstall will leave you with a version that won’t update on you. Tada! Hopefully from this point it will be plain sailing. Anyone have tips for browser or settings for an *old* @sonusnet SBC 1k/2k? I keep getting “Cannot communicate securely with peer: no common encryption algorithm(s). Error code: SSL_ERROR_NO_CYPHER_OVERLAP”. 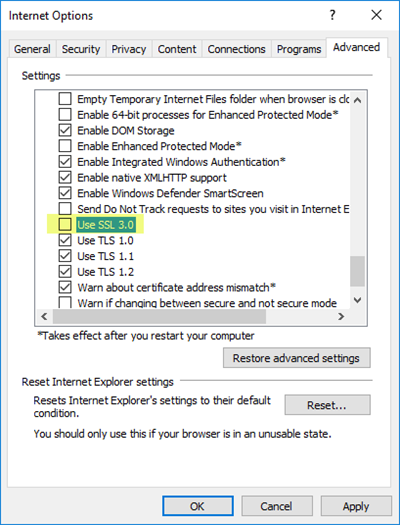 Enabling SSL 3.0 & TLS 1.0 didn’t work. 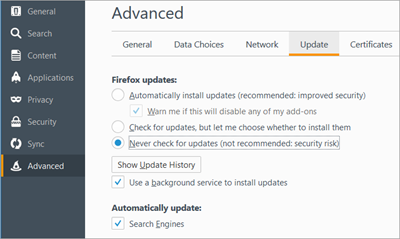 Firefox settings tweaked: nogo. 5th December 2017: This is the initial post. I’ve never had the pleasure of logging to a Sonus, but on the AudioCodes side you can change the cipher suite used via the CLI. I did write a quick blog post about it.